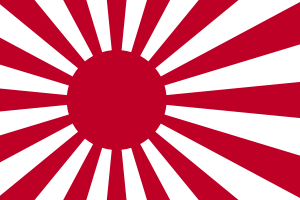 For the Imperial Japanese Army (1871–1947), see Imperial Japanese Army. For the Ministry of the Military (Ritsuryō) (701–1871), see Ministry of the Military (Ritsuryō). 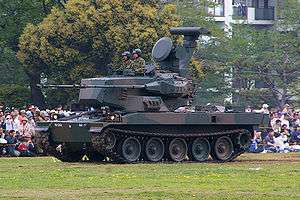 The Japan Ground Self-Defense Force (陸上自衛隊, Rikujō Jieitai), or JGSDF, is the main branch of the Japan Self-Defense Forces responsible for land-based military operations. 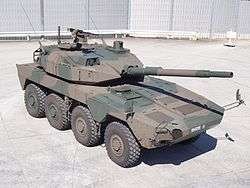 It is the de facto army of Japan. 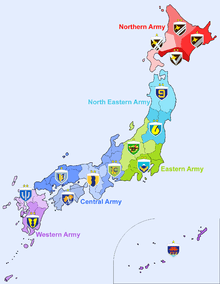 The JGSDF was created on July 1, 1954. It is sometimes also referred to as the GSDF. 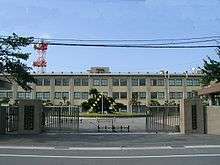 New military guidelines, announced in December 2010 will direct the Jieitai away from its Cold War focus on the Soviet Union to a focus on China, especially regarding the dispute over the Senkaku Islands. 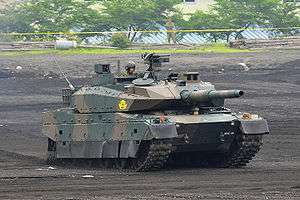 The largest of the three services of the Japan Self-Defense Forces, the Japan Ground Self-Defense Force is tasked with maintaining internal security in Japan and operates under the command of the chief of the ground staff, based in the city of Ichigaya, Shinjuku, Tokyo. The present chief of the ground staff is General Kiyofumi Iwata (Japanese: 岩田 清文). 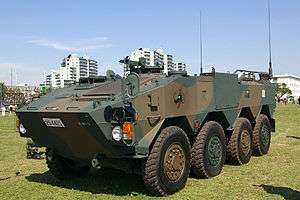 The JGSDF numbered around 150,000 soldiers in 2008. As of 2010, the number remained the same at approximately 150,000 personnel. On the outbreak of the Korean War, many U.S. units were transferred to Korea, and Japan was perceived as lacking defenses. 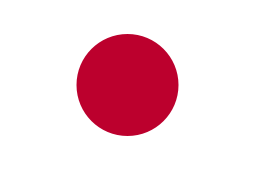 Encouraged by the American occupation authorities, the Japanese government in July 1950 authorized the establishment of a National Police Reserve, consisting of 75,000 men equipped with light infantry weapons. 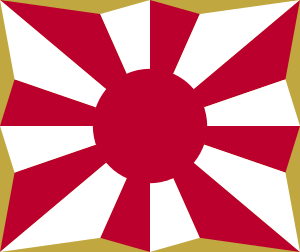 Under the terms of the Treaty of Mutual Cooperation and Security between the United States and Japan, United States forces stationed in Japan were to deal with external aggression against Japan while Japanese forces, both ground and maritime, would deal with internal threats and natural disasters. 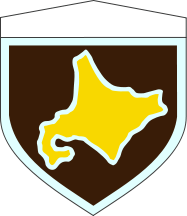 Accordingly, in mid-1952, the National Police Reserve was expanded to 110,000 men and named the National Safety Forces. For a long period, the Japan Ground Self-Defense Force possessed a dubious ability to hold off a Soviet invasion of Hokkaido. Zbigniew Brzezinski observed in 1972 that it seemed optimized to fight ‘a Soviet invasion conducted on American patterns of a quarter of a century ago.’ While the force is now an efficient army of around 150,000, its apparent importance had, until recently, seemingly declined with the end of the Cold War, and attempts to reorient the forces as a whole to new post Cold War missions have been tangled in a series of internal political disputes. 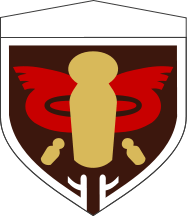 one helicopter brigade with twenty-four squadrons and two anti-tank helicopter platoons. 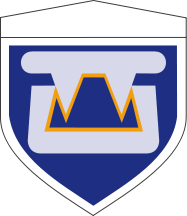 Western Army Infantry Regiment (西部方面普通科連隊 Seibu Hōmen Futsū-ka Rentai), light infantry unit trained for amphibious operations. ↑ Encyclopedia Britannica, Self Defense Force, accessed February 2015. 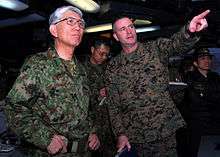 ↑ "Japan Self-Defense Force | Defending Japan". Defendingjapan.wordpress.com. Retrieved 2014-08-03. ↑ Archived March 9, 2010, at the Wayback Machine.